It felt somewhat ironic that the day we announced our website launch date was the same day that Mike Freeman announced he would not be charging the police officers involved in the Jamar Clark shooting. Mike Freeman presented a wealth of evidence defending his decision, yet he made virtually no mention of testimonies from the 20 witnesses that were on the scene. Rather, he focused almost exclusively on the testimonies of the police officers and the paramedic. What he did share from the experience of Jamar’s alleged girlfriend, RayAnn Hayes ended up completely contradicting her initial testimony and her later interview with WCCO. Why did Freeman so heavily base his findings on police testimonies and ignore those of the witnesses? Why did he so blatantly ignore that of RayAnn Hayes? Why did police shoot Clark just 61 seconds after they came on the scene? Why weren’t there any of Clark’s fingerprints on the gun? Even if he was reaching for the gun, why couldn’t two trained officers have restrained him? Why did they need to give him a fatal shot to the head? So many questions remain. One thing is overwhelmingly clear—we still do not know the complete story. We do know that, in the hierarchy of voices our society gives value to, white men in positions of power sit at the top. It’s not surprising that in case after case involving possible police brutality, the testimonies of police officers are given much higher priority than those of the victims and witnesses, especially if they are people color. This is not just the case with prosecutors but also civilians; it’s the reason that grand juries have favored on the side of police officers virtually 100 percent of the time. 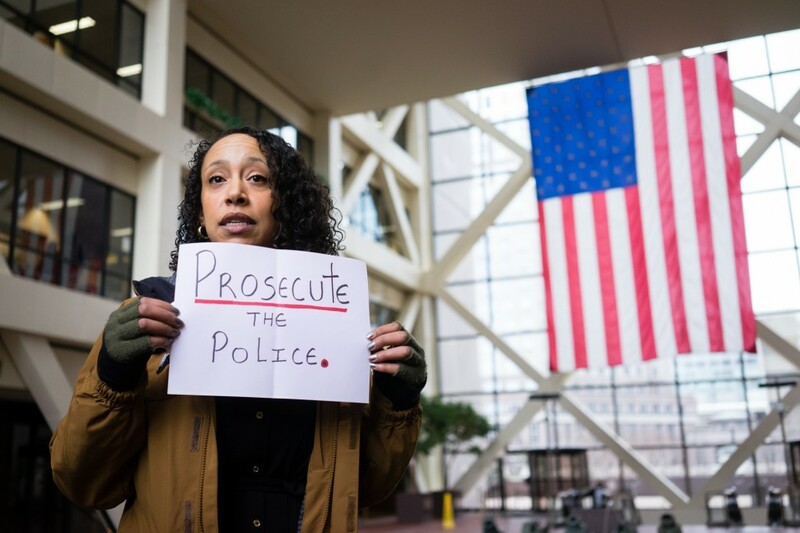 In the way that he presented the Jamar Clark case, Freeman was only reinforcing the status quo. Our project is not about proving that people like Freeman are wrong. It’s about sharing the stories that people like him are not telling. It’s about raising consciousness and changing systems. It’s about waking up to the deeply dehumanizing experiences people are having all around us. If you’d like to stay updated on news and action surrounding the Jamar Clark Case, check out and like Twin Cities Coalition 4 Justice 4 Jamar. You can also view photos and read more about the movement surrounding his case on Annabelle’s blog.